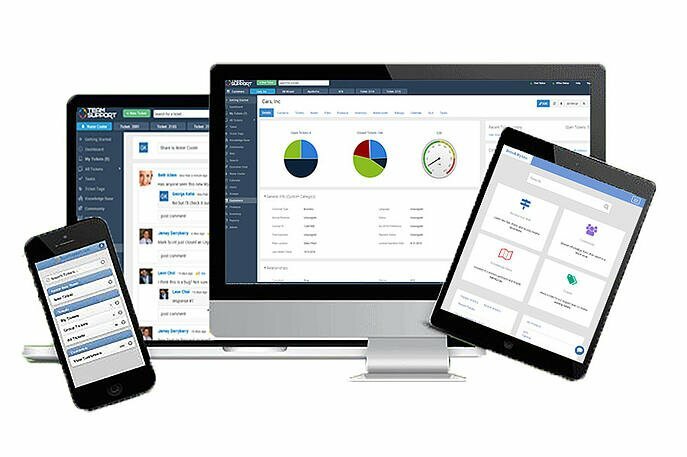 TeamSupport customer support software and NiceReply customer satisfaction software make a powerful solution for B2B technology companies. Our native integration lets you quickly and easily collect and track customer satisfaction metrics with Nicereply - an all-in-one customer satisfaction survey tool built for TeamSupport. Get more feedback from your customers with personalized Customer Satisfaction (CSAT), Net Promoter Score (NPS) and Customer Effort Score (CES) surveys. "TeamSupport makes managing service tickets a breeze." Simply choose your customer satisfaction metric and distribution channel in Nicereply, and either set up your TeamSupport trigger or add the simple HTML code to your custom email template(s)! 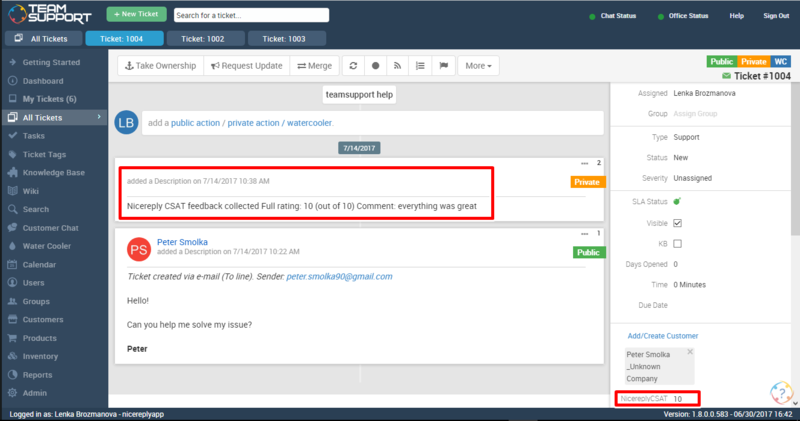 Using custom field(s) in TeamSupport you can also create automations to collect and respond to customer feedback. "Issue collaboration and tracking at its finest!"